- Racó de la Calma "El Racó amb Flors", a space decorated by the children's workshop with flowers and paintings. Sitges Corpus 2018 - "L'Ou com Balla"
- 19:00h. Presentation of the poster and the Corpus 2018 programme, in collaboration with Museus de Sitges and with the performance of the Sitges Canta Choir ! - Exhibition at the Centre Cultural Miramar. Within the framework of Sitges ReciclaArt 2018, a festival of recycling and responsible art. - 19h Talk "Els 100 anys de la primera exposició de clavells" (100 years from first carnation exhibition) . By Roland Sierra and Eduard Tomás, local historians. Organized by the Grup d'Estudis Sitgetans and the Corpus Commission. Menus, cakes, cocktails ... etc. are offered at various locations in Sitges. Auditorium of Edifici Miramar, C. Fonollar 19. - 19:00h Inauguration of the collective painting exhibition "Flores de Corpus"
Inauguration on Friday, June 1st at 7:00 p.m.
- 12:30h. Workshop for children "Racó amb Flors". Decoration of the Racó de la Calma with flowers. With the collaboration of Museus de Sitges. Activity free of charge. 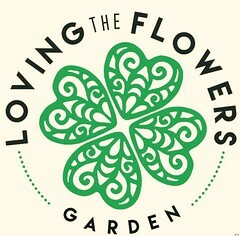 - 16:30h Muestra floral gegantera. See how the flower bouquet of the "geganta" is made. An activity for boys and girls of all ages. - 18:00h. The 3 pairs of gegants will join a procession towards the Retiro for the Inauguration of the Fiesta del Corpus. - 19:00h. Inauguration of the 79th National Carnation Exhibition in the gardens of El Retiro and the 28th Exhibition of Bonsais and Suiseki in the Edifici Miramar. Reading of the opening speech "Clavell" by Josep Milán Parellada. Refreshments courtesy of Municipal Market and Caves Valldosera of Olèrdola. -22:00h. 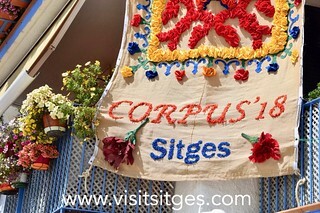 Guided tour "Flors, tradició i festa" (Flowers, tradition and fiesta) organized by AGIS (Sitges guides). Gardens of El Retiro. To finish off, there will be the possibility of joining in the making of a flower carpet. Activity free of charge. 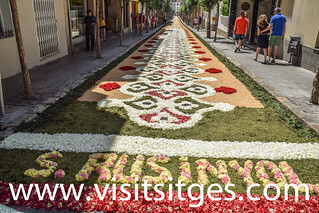 - Starting in the early hours of the morning flower carpets are being created on the streets of Sitges. 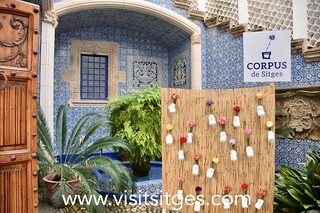 - 12:00h Great Concert of corpus with Coral Sitges Canta! To celebrate the 5th anniversary of the Sitges Canta ! choir. Casino Prado Theater. C. Francesc Gumà 6. - 20:00h Procession of the Most Holy Sacrament, including children who have celebrated Holy Communion this year, the Pubilles and Hereus, members of the congregation, the Gegants, the Moixiganga, the Àliga paper mache, dragon paper mache. The route will start at the Baluard in front of the church and continue along Mirador Miquel Utrillo, Racó de la Calma, Fonollar, Sant Joan, Davallada , Barcelona, Santiago Rusiñol, Jesús, Cap de la Vila, Parellades, Bonaire, Passeig de la Ribera, Sant Pau, Cap de la Vila, Major, Plaça de l'Ajuntament y Baluard. Inauguration on Friday June 8th at La Cerveseria La Sitgetana at 18:00h. Awards presented at the closing ceremony of Corpus in the Retiro Gardens on Sunday, June 10th at 19:00h. - 19:00h. Closing of Sitges Corpus 2018 at the gardens of Societat Recreativa El Retiro, with the presentation of awards and diplomas. To end the festivities, at the Santuario del Vinyet, an offering of carnations to the Virgen will take place (transfer to the Sanctuary on the " little train" decorated with flowers by Kizuna Florist and accompanied by the music of Txaranga sitgetana Buskant el To...). At Vinyet the closing of the Corpus festival is celebrated with a cocktail offered by the Gremi d'Hostaleria de Sitges and the Club de Tast with the collaboration of the group Matas Arnalot, Cerveseria La Sitgetana and Cava Talino. Alenti Hotel & Restaurant, Boccalino, Dehesa Santa Maria, La Nansa, La Pèrgola (Hotel Antemare), La Salseta, Pic Nic, "Els Jardins del Retiro que ara ho porten els del Cable".